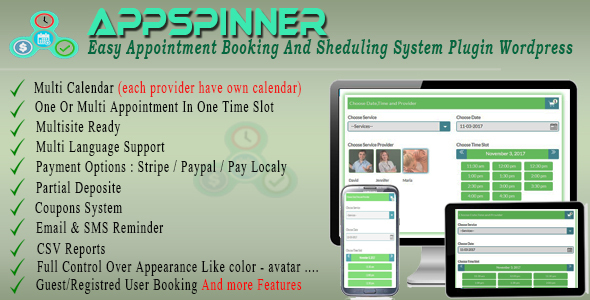 Appspinner is a simple yet powerful plugin for accepting online appointments & bookings on your WordPress blog site. No need to use third party appointment booking services, everything can be managed from inside the WordPress admin panel. 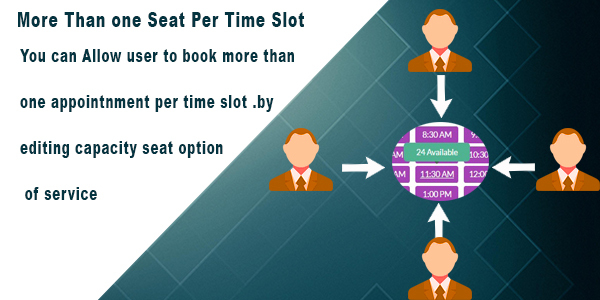 Provide your clients with Out-of-box Appointment Management Solution. 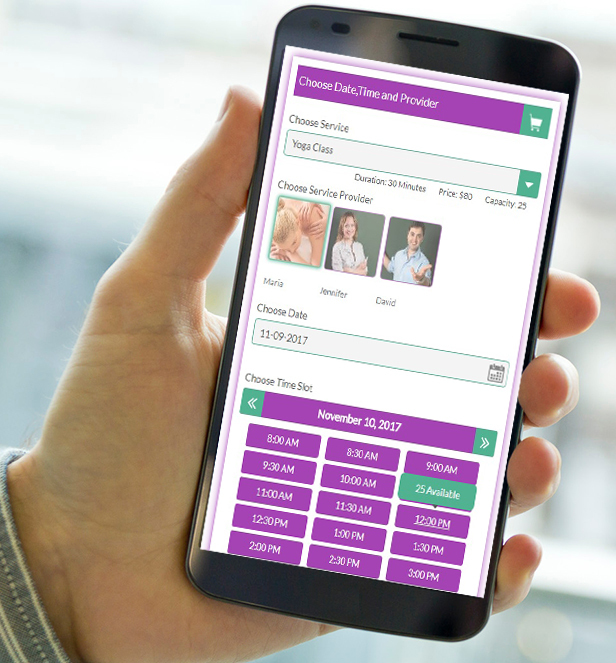 Front-End Clients — Your Booking Client will have a new profile screen on the front-end that allows them to manage their appointments and he can download their invoices. Support (6 months included) — We consider support to be just as important as the plugin itself. If you run into trouble, you can submit a ticket in contact form support and we’ll back to you as soon as possible (usually within 12 hours max). 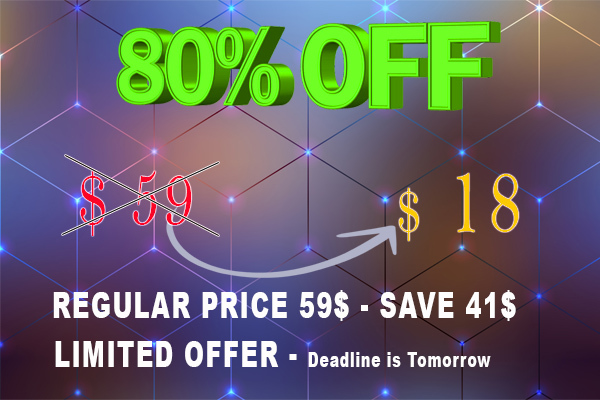 If you need more support, you can extend it to 12 months at a discount when purchasing. Lifetime Updates — Your purchase includes updates for the life of the plugin. This means that if the plugin is updated with some amazing new features next week or in two years, you will get this update free of charge. Who can use this plugin ? 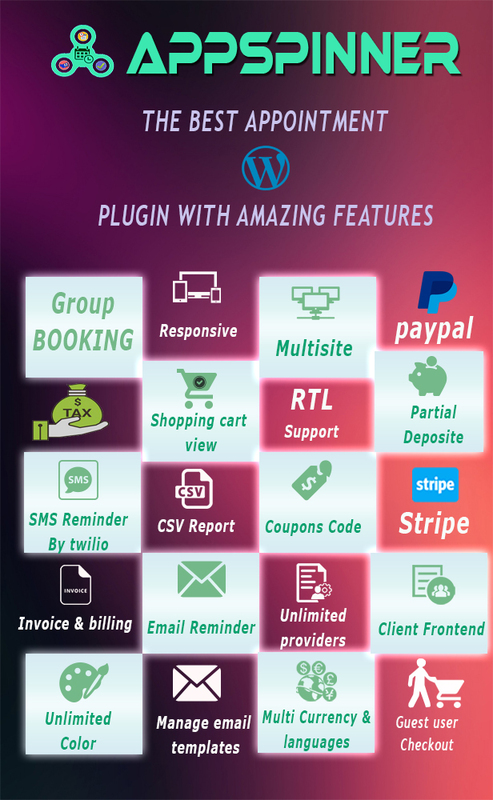 User-friendly interface with flexible admin panel. 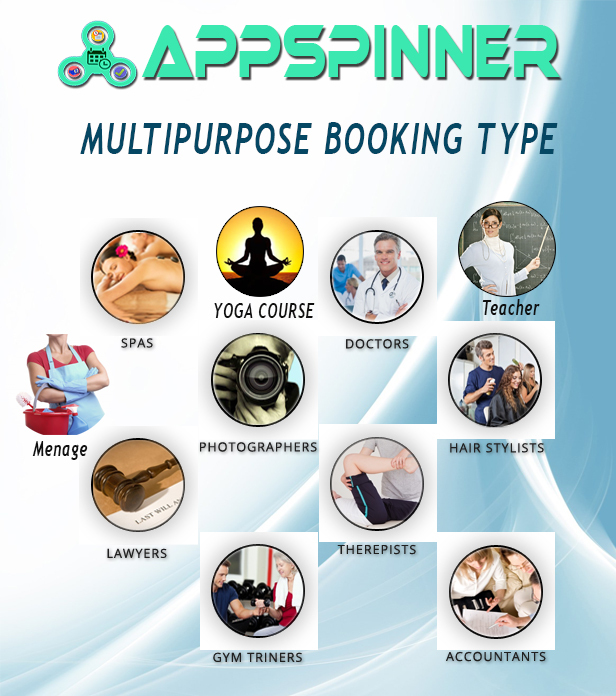 Break Time Management for each provider. Day off or Holiday Management for each provider.